This is the wine for everyone including the group someone has labelled the ABCers (Anything But Chardonnay), those are desperate for a white wine that shows some character. It is best known for its apricot, peach and spice flavours, together with high alcohol (often over the 13% mark) and low acidity. As with many white wines it is generally best consumed young, although the classic Viogniers of the North Rhône (and increasingly wines from the oldest vines in California and Australia) can develop well for much longer. 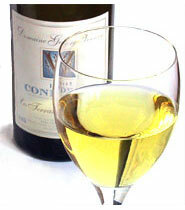 Condrieu has been called 'the most expensive early drinking wine in the world.' But with all this talk of quality young wines let's not forget that there are also an increasing number of late harvest dessert wines that will also last much longer.